Before you start your fire, make sure to run through the items on this list. Not all of these items may be applicable to you depending on what type of pan and accessories you are using, but these are all items that will help you protect your pans and prevent damage. If the sap level gets too low in your pans, your pans could warp or scorch. Keep 1–2 inches covering the entire bottom of your pan. Never leave your evaporator unattended. Set timer or watch stack temperature to know when to add more fuel. Hey, this is just about exactly what I have posted on the wall of my sugar house! 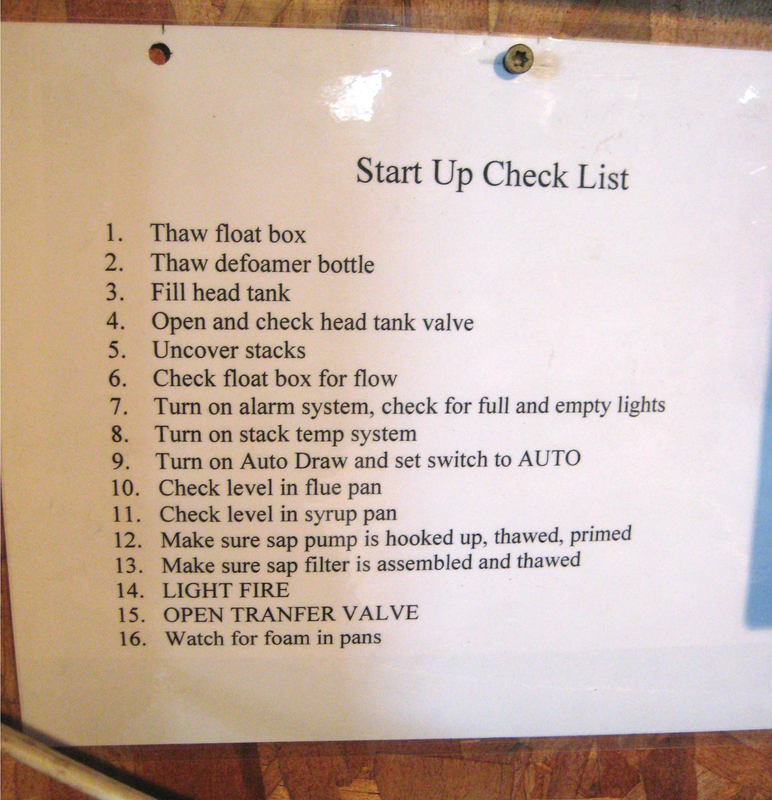 #6 might include (es) after box, as in check float box(es) for flow. Some styles of evaporator have 2 float boxes. Thanks Larry! We have updated the list per your suggestion. Ha ha! Hope you are having a great season. Cheers! Forgot step 5 once already this year,. One less functional plastic bucket laying around now!